Picture the scene: My colleague and I are going to be stuck in the same car for 30 minutes, whilst we make our way to a prospective client. We have never managed more than 5 minutes small-talk between the two of us and now we have 25 additional minutes of awkward silence to fill. I, the Queen of the small talk, is at a loss. He, the King of utilising minimal vocabulary, looks pained. We are both filled with dread. Five minutes of social niceties pass and as predicted, we both dry up like a snail caught on a tanning bed. I start messing around with my phone, Twitter should hold me for a bit. He starts messing with the dial of the radio, presumably hoping the music will occupy the void. Having the bare minimal in common makes me sceptical about what his music choices will be. In our awkward interactions, I have written him off as a X kind of person. Therefore, I brace myself for X type of music. Then the first track plays…I don’t recognise the artist playing, but I definitely recognise the genre. I LOVE this genre. I throw him a not-so-subtle side look. He bristles almost apologetically, “I know it’s not your kind of music” he begins… He doesn’t get any further, I cut him off on some, “No, I love this genre…do you also like A, B and C.” Now it’s my turn to be on the end of a befuddled side-look from him, “Oh, you like A, B and C too.” It’s apparent that I may have stereotypically dubbed him a genre X kind of person, but he has also incorrectly painted me as some genre Y kind of person. Conversation ensues. Excitable. Learning occurs. Not only of each other, but of our shared taste in music. Understanding ensues. As does some level of comfort. The 30 minute return trip no longer seems like a trial, instead, it becomes a voyage of discovery. 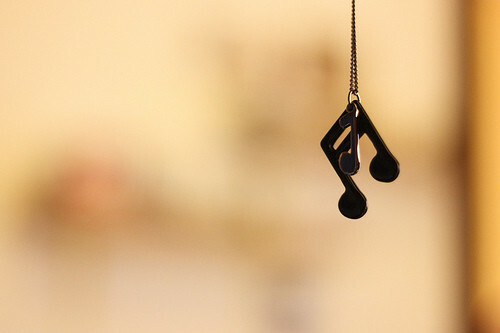 Thank the heavens for music. The Great Equaliser.